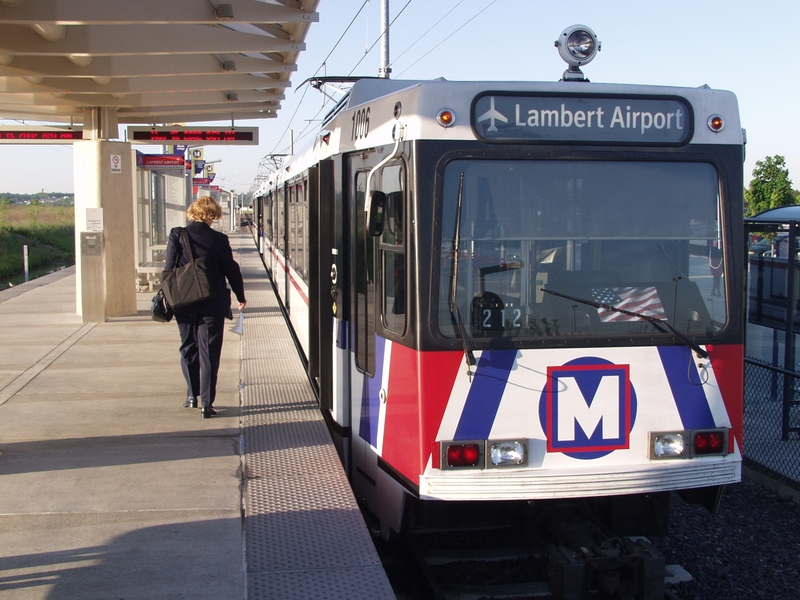 Metro will not operate trains between the Wellston MetroLink Station and the North Hanley MetroLink Station this Saturday and Sunday, May 19-20 due to construction near the UMSL South MetroLink Station. Customers will be transported by bus shuttles between those stations and should allow an extra 20 to 25 minutes for their commutes Saturday and Sunday. MetroLink will operate on a single track late Friday evening to allow crews to prepare for the UMSL South construction work. Also this weekend, MetroLink trains will operate on a single track at the Eads Bridge from beginning of service Friday until end of service each night. Red and Blue line passengers may experience 5 minute delays through that section of the MetroLink system. Friday, May 18, from 11:30 p.m. until the end of service, To accommodate crews working on the UMSL South interlocking project, MetroLink will operate trains on a single track between the Wellston, Rock Road, UMSL South, UMSL North, and North Hanley stations. Red Line passengers should expect 5 to 10 minute delays. Blue Line service will not be impacted. Saturday & Sunday, May 19-20, Eastbound passengers at the North Hanley MetroLink Station will need to board shuttle buses which will transport them to the UMSL North, UMSL South, Rock Road and Wellston stations. When passengers arrive at the Wellston station, they can board the train and continue their eastbound trips. Westbound passengers at the Wellston MetroLink Station will board the shuttle buses to take them to the Rock Road, UMSL South, UMSL North, and North Hanley stations. When passengers arrive at North Hanley, they can resume their westbound trips on the train. Red Line MetroLink customers should allow for delays of 20 to 25 minutes. Blue Line service will not be affected. Another bus shuttle is scheduled for the weekend of June 2-3 due to the work near the UMSL South MetroLink Station. Friday – Sunday, May 18-20, from beginning of service until the end of service each day, MetroLink will operate on a single track between the East Riverfront and the Arch-Laclede’s Landing MetroLink Stations. Blue and Red Line passengers should allow an extra 5 minutes for their commutes. How often do these buses run? Is there a schedule somewhere? Do they go to each train station? I was told by someone at work that bus drivers will pass up the UMSL stations because they incorrectly assume that no one will get off there. Whatever happened to just single tracking, passengers should come before useless construction work.